Mark Zuckerberg’s social network just got a bit bigger. 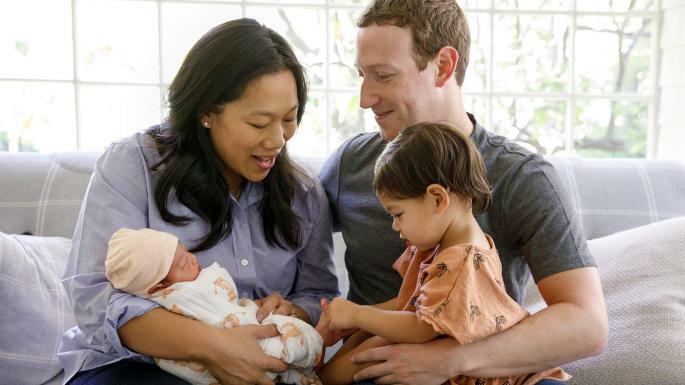 The Facebook chief executive has announced that his wife Priscilla Chan has given birth to the couple’s second daughter, August. After the birth of Max, their first daughter, in 2015, Chan and Zuckerberg had written about the world they wanted her to grow up in. This time they said that wanted to be less serious: “Rather than write about growing up, we want to talk about childhood. The world can be a serious place. That’s why it’s important to make time to go outside and play. “Childhood is magical. You only get to be a child once, so don’t spend it worrying too much about the future. You’ve got us for that, and we’ll do everything we possibly can to make sure the world is a better place for you and all children in your generation,” they wrote. Zuckerberg has said previously that he will take advantage of Facebook’s generous parental leave option to spend two months off work with his family.